Antmee: My magic carpet win has arrived! Contains everything I need to make an apron. Good clear instructions too. I can even access her blog "Comin' Home" for further apron tutorials if I need to. You can find her blog here. While your there do check out her "Show and Tell Friday's" post. ( here's a direct link if you cant find it). Sounds like a nice idea. Like "show and tell" at school. If you remember those. Well bye bye I had to work today and when I got home was nagged about "whats for dinner?". Nobody thought to organize something while I was working and they were home (public holiday) playing all day. Yes hubby too! lol. Males! they would starve if we didn't organize food!!! Now I'm pooped. Yay! Would you believe I was planning on making an apron too? I had won an apron pattern from a giveaway but when I looked at the pattern it looked so complicated! It's an apron for crying out loud. So I'm just going to scratch something out. Soon! Btw, I so envy all that fabric you got. congratulations ! I think is not easy sewing an apron , but Gooood Luck !! 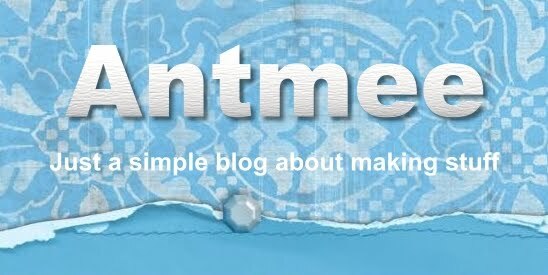 Hi AntMee, I can't believe I didn't sign up to follow you back during the OWOH rush! I love your cute blog! I'm so glad you got my stuff. You are quite a ways from Texas! You can visit Texas any time you like at my blog though-Ha! If Jane would like an easy apron pattern, she could pick up a thrift store skirt and just adding a waist band and pocket and maybe a ruffle. 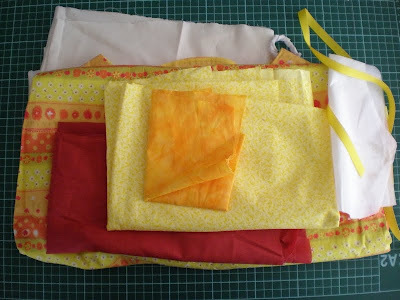 It's the easiest way that I know of for making an apron. 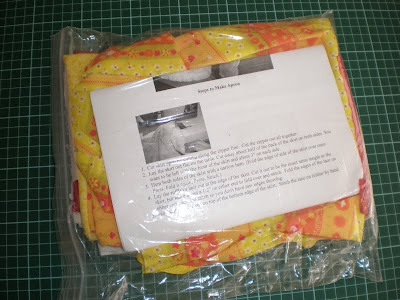 My post on how to make a super easy apron is at this link. About husbands and males in general(I have four boys! ), they would live on peanut butter and packaged oriental noodles if I let them. great stuff! thanks for the link, i love reading blogs! 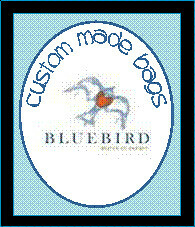 Looking forward to seeing your new apron made! Wow Congratulations. can't wait to see your end result of the apron. P.s. I posted a photo of the goodies you sent me yesterday on my blog. Thanks again. Hey thanks for coming to follow my blog! Very kind of you. You made me laugh in this post with the what's for dinner - oh I soooo wish I liked cooking, coz I seem to be have been saddled with it! that apron looks like it is going to be fantastic...thanks for the blog link! look forward to seeing it sewn up!